A comprehensive summary of new and existing approaches to analyzing multiresponse data, Graphical Analysis of Multiresponse Data emphasizes graphical procedures. These procedures are then used, in various ways, to analyze, summarize, and present data from a specific, well-known plant breeding trial. These procedures result in overlap plots, their corresponding semigraphical tables, scatter plot matrices, profiles across environments and attributes for individual genotypes and groups of genotypes, and principal components. The interpretation of these displays, as an aid to understanding, is illustrated and discussed. Techniques for choosing expressions for the observed quantities are also emphasized. That structure enables the reader to obtain an overview of what can be found, and to then delve into various aspects more deeply if desired. Statisticians, data analysts, biometricians, plant breeders, behavioral scientists, social scientists, and engineering scientists will find Graphical Analysis of Multiresponse Data offers invaluable assistance. Its details are also of interest to scientists in private firms, government institutions, and research organizations who are concerned with the analysis and interpretation of experimental multiresponse data. "…collaboration between a recognized expert in graphical data exploration methods, and a statistician experienced in the analysis of data from plant breeding trials." 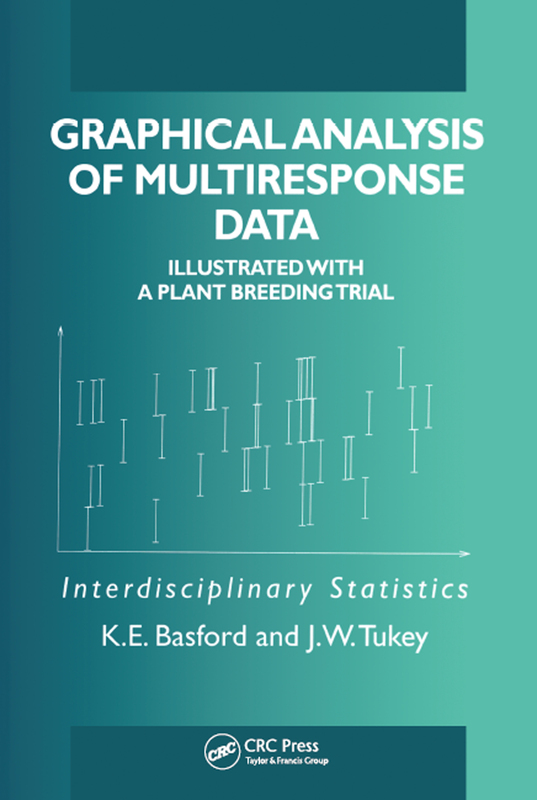 "…the book is likely to be of most interest to a statistician involved in plant breeding or, perhaps, to an academic with interests in graphical data analysis techniques."